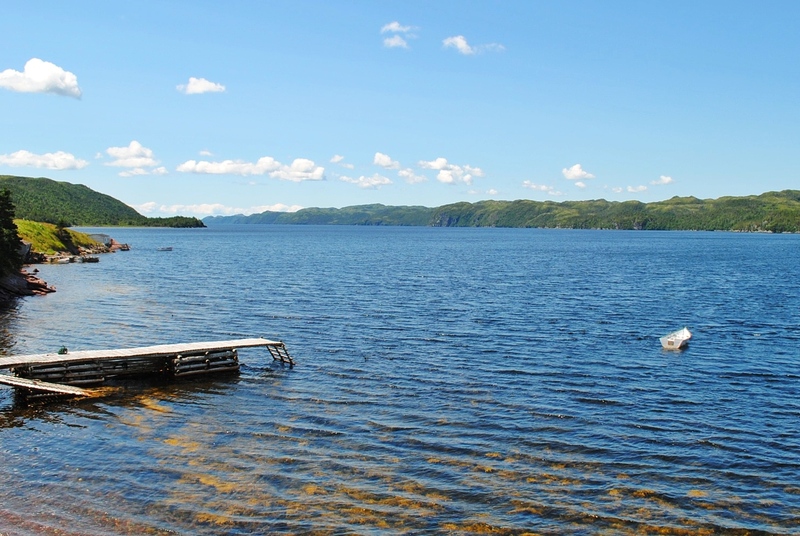 A few more photos from a recent visit to Monkstown, Placentia Bay… a beautiful, untouched and relatively unknown location in Newfoundland, Canada. You’ll find it in the middle of this map, near the bottom (top) of Paradise Sound. If you can’t see the name, zoom in a little, it’ll show. My musical colleague Byron travels the country playing with a well-known Nfld musical/comedy group. This is where he goes when he gets tired of airports and hotels. 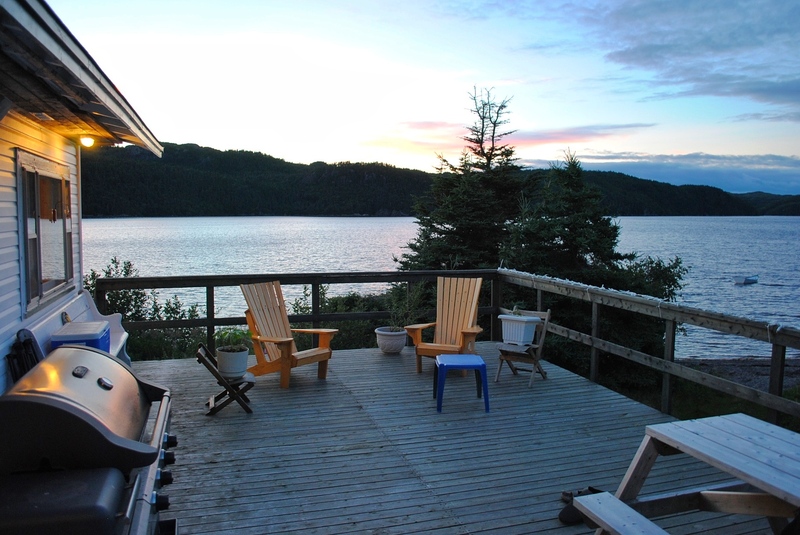 Looking NW at sunset from the deck of his cabin (cottage in Canada). You can see the proximity of the beach and his skiff just above the picnic table on the right. On a clear night the stars are blinding. 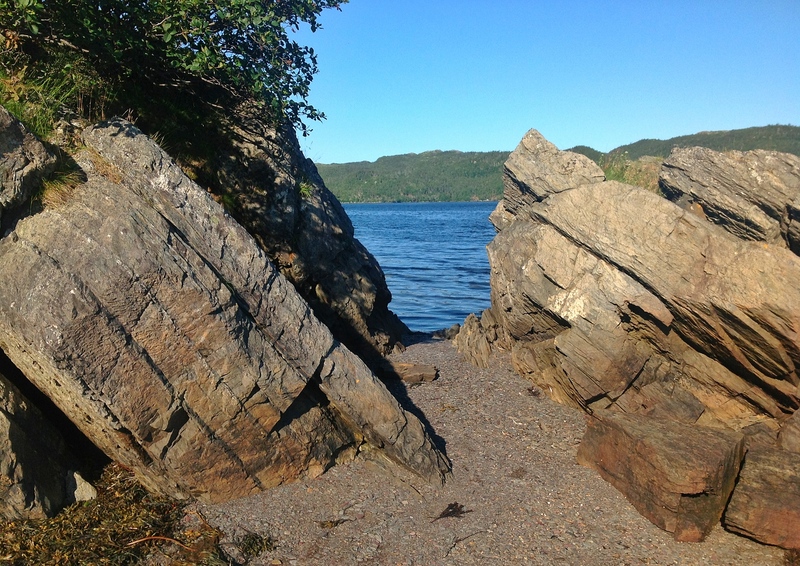 The beach and rocks about 15 feet away from the cabin in the first picture. Not Monkstown but only 7 km away on a quad, over 2.5 hours by boat all the way down around Southeast Bite and Little Paradise. Facing NE. An important place of commerce when you’re 3 hours from St. John’s. 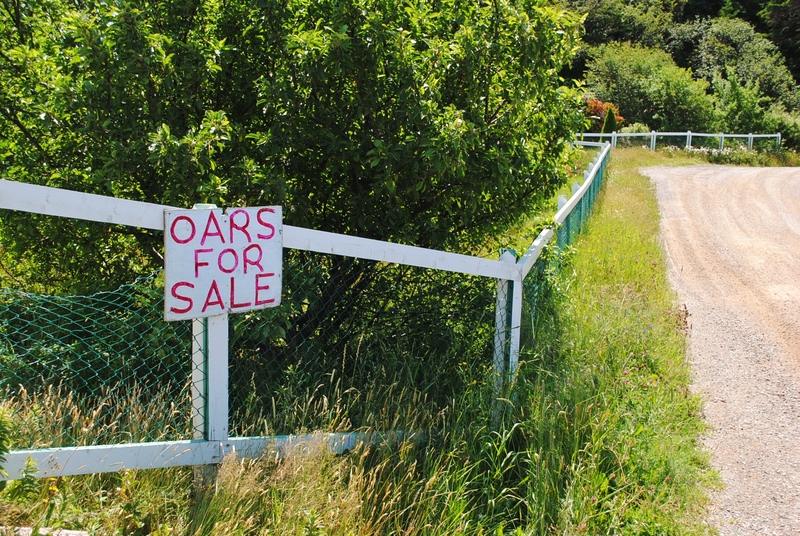 Funny sign, though. Uncle Jim’s boat in the foreground. Byron’s skiff further out. 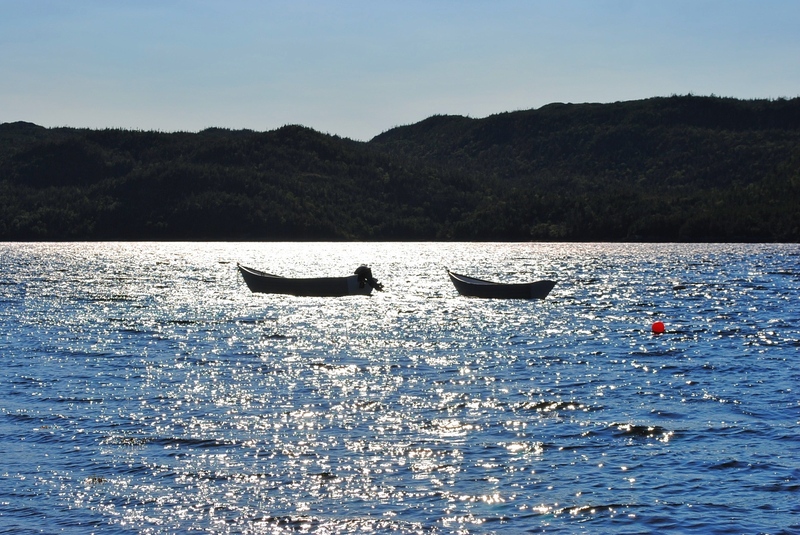 Another angle of those boats, late afternoon. Couldn’t resist with the sun playing on the water like that. 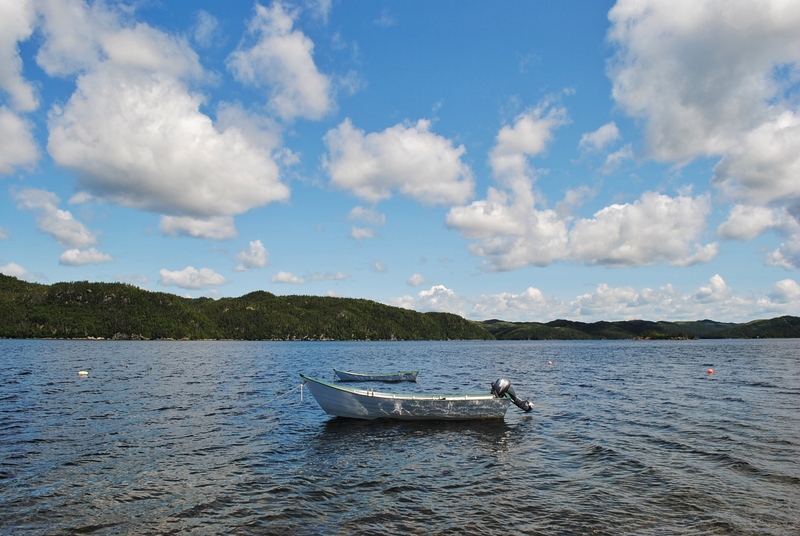 It was the second day of the recreational food-fishery. 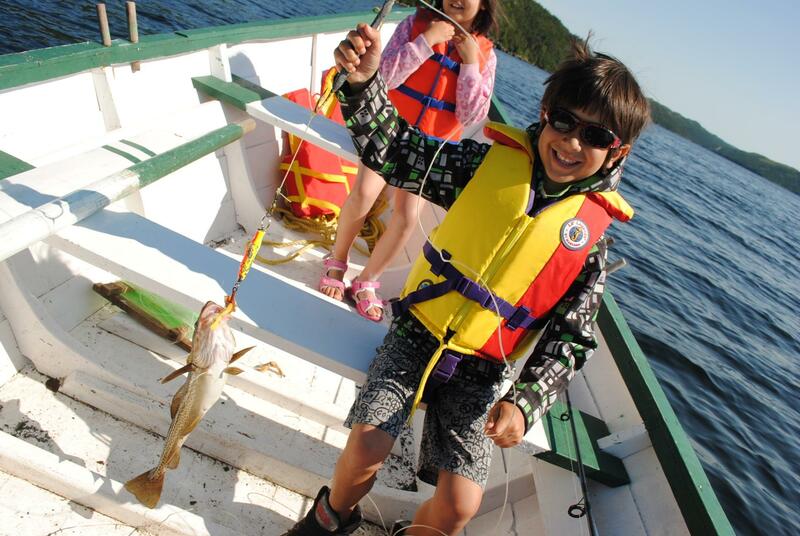 My children loved jigging a few codfish and they caught their limit. Dredged the cod in a bit of flour, some salt and pepper, into the frying pan, fantastic! 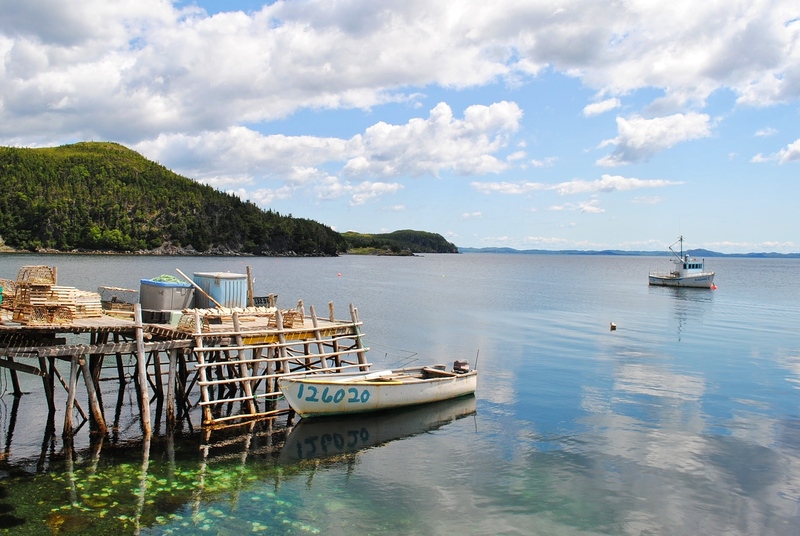 Gallery | This entry was posted in Landscape/Seascape, Photography, Travel and tagged Atlantic, boat, canada, children, cod, codfish, monkstown, newfoundland, ocean, paradise sound. Bookmark the permalink.